Something about sub-zero temperatures and shoveling snow just gets me in the mood for hockey cards. Understandable, I guess. 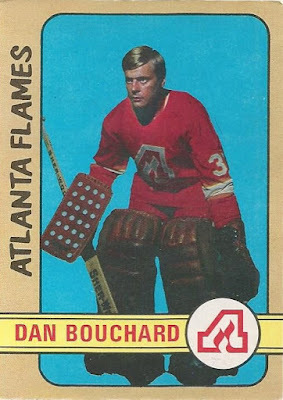 Anyway, as I touched on in my 2017 re-cap, one of the areas I hope to make better progress on in 2018 within my collection would be WHA hockey cards. 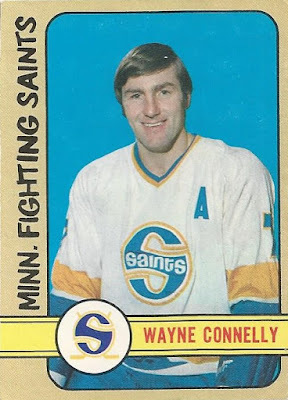 My first Minnesota Fighting Saints card from this release is right winger Wayne Connelly. 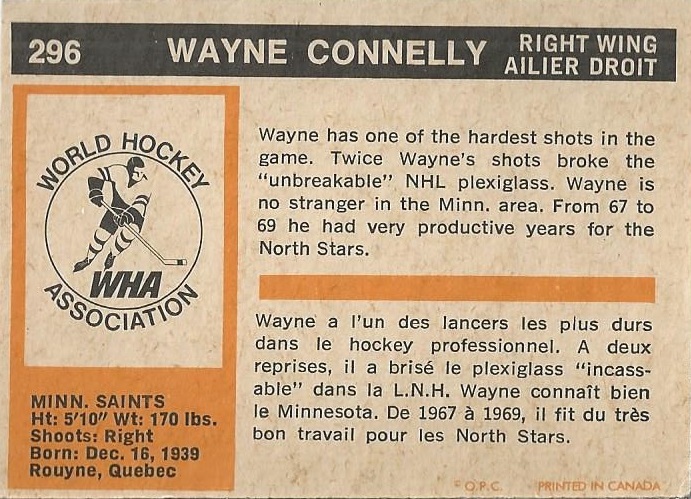 Wayne actually had a lengthy and fairly successful run at the NHL level beginning in the early 1960s, before transitioning to the WHA to wind down his career. Random trivia fact, Bobby Orr's first career point came as an assist on a powerplay goal that Wayne scored in October of 1966! Here's the back. 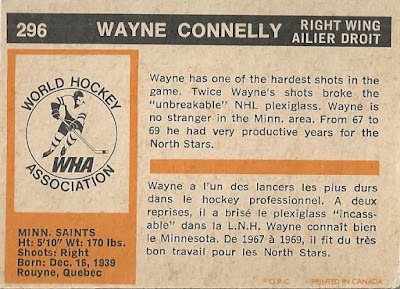 These are all about the fronts if you ask me, but it is kinda cool that it mentions Wayne's shot being so hard that he broke plexiglass on more than one occasion. Here's another winger. Lowell MacDonald played in just over 500 NHL games, recording 390 career points. 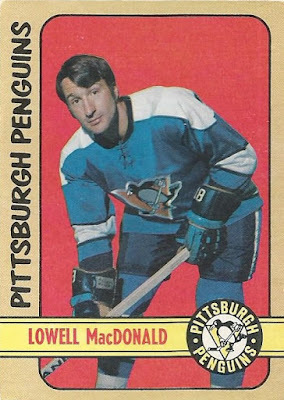 His best years came with the Pens, right around when this set was released. 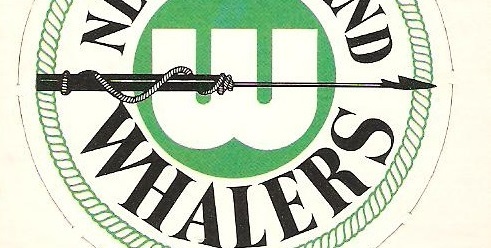 ...at the end of the day it was the WHA cards that drove me to this lot. Nice to be up to an even dozen of these now! Well done, three fine additions. 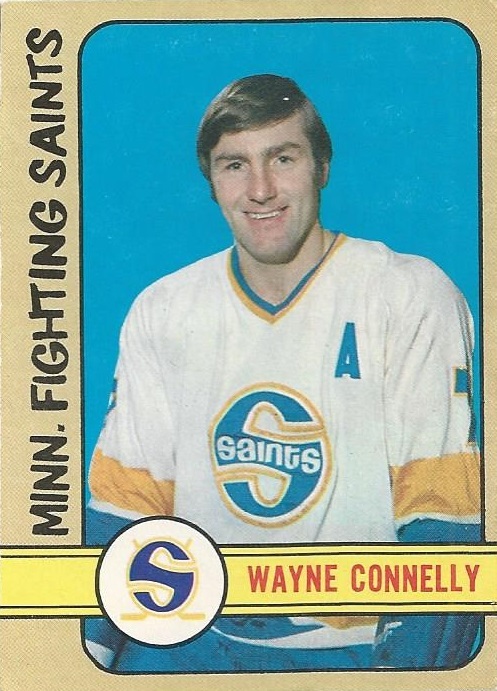 A tough chase but certainly a fun one and one of the more memorable 70's sets in my opinion with the WHA component and the loads of early career stars. I always look for late 60s/early 70s cards when I'm at shows or shops and I don't think I have ever found more than a couple of the high numbers as singles in the last, oh probably 10 years. Most of them on COMC are at least $10 or more each. It's crazy how that works. 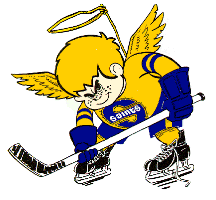 That hockey playing angel boy seemed to be bootlegged for every logo minor hockey league team back when I was a kid.